"The Paul Butterfield Blues Band"
During the early 1960s, young blues aficionados in their teens like Charlie Musselwhite, Michael Bloomfield, and Paul Butterfield ventured into the blues clubs on Chicago’s South Side to attend performances by the originators of post-war electric Chicago style blues like Otis Rush, Little Walter, Buddy Guy, Magic Sam, Howlin’ Wolf, Muddy Waters, a.m.o. Eventually, they found their way on stage jamming with the black bluesmen they so much apprenticed. Before forming the Butterfield Blues Band in 1963, Paul Butterfield (harmonica, vocals) played with University of Chicago classmate Elvin Bishop in bar bands named the Salt and Pepper Shakers, or the South Side Olympic Blues Team. The original line-up of the Paul Butterfield Blues Band included two former members of Howlin' Wolf's band, Jerome Arnold (bass) and Sam Lay (drums), later adding Bishop (guitar), Mark Naftalin (piano, organ), and lead guitarist Mike Bloomfield. The group built a strong local following, and its debut album was released in 1965. At that year's Newport Folk Festival, after playing its own set, the Butterfield band backed Bob Dylan for his controversial premiere electric performance at the Newport Folk Festival. Whereas the 1965 self-titled debut contained hard-core Chicago style blues including several originals, the 1967 follow-up album, ’East-West’ spun off into an entirely different direction. Its long improvisational jams, notably the raga-tinged title song, showed more Ravi Shankar and John Coltrane than Muddy Waters. Not long after the release of ’East-West’, the original Butterfield Blues Band broke up. Bloomfield went on to found The Electric Flag with soul-mate Nick Gravenites, and to record ’Super Session’ in collaboration with Al Kooper. 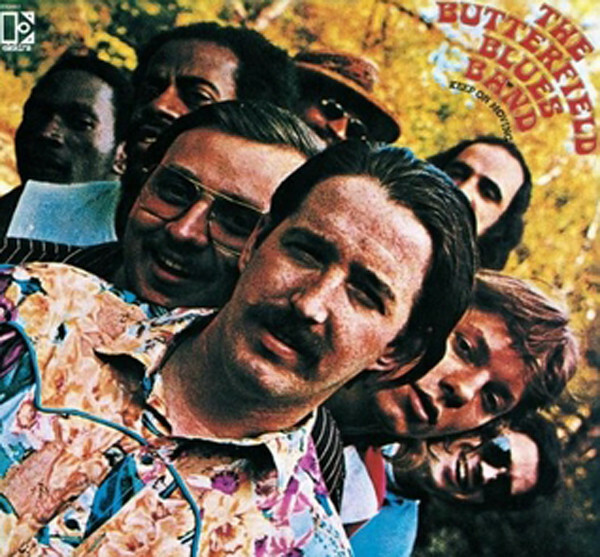 The now-called Paul Butterfield Blues Band continued to record for Elektra Records until 1971. Butterfield added a brass section (including David Sanborn on alto saxophone) and changed his basic musical direction from blues to horn-driven R&B and soul music with a bluesy touch. As a sideman, he played on Muddy Waters' 1969 album, ’Fathers and Sons’, and after disbanding his Blues Band in 1972, moved to Woodstock, New York. There he formed Butterfield's Better Days with Amos Garrett, Geoff Muldaur, and Ronnie Barron. In 1976, Butterfield appeared at The Band’s ’Last Waltz’ concert. He continued to tour with Levon Helm's RCO All Stars and with ex-Band bassist Rick Danko in the Danko-Butterfield Band. In early 1980, while recording ’North-South’ in Memphis, Butterfield was hospitalized. He recorded one more solo album, ’The Legendary Paul Butterfield Rides Again’, which came out in 1986, one year before the 44-year-old musician was found dead in his apartment. Customer evaluation for "Keep On Moving"